This cup & saucer pair is a fine made in USA piece of Lenox China Co.'s ivory bone china with heavy platinum trim. It is part of a floral and butterfly decorated Lenox pattern named Cinderella that was produced only from 1979 - 83. 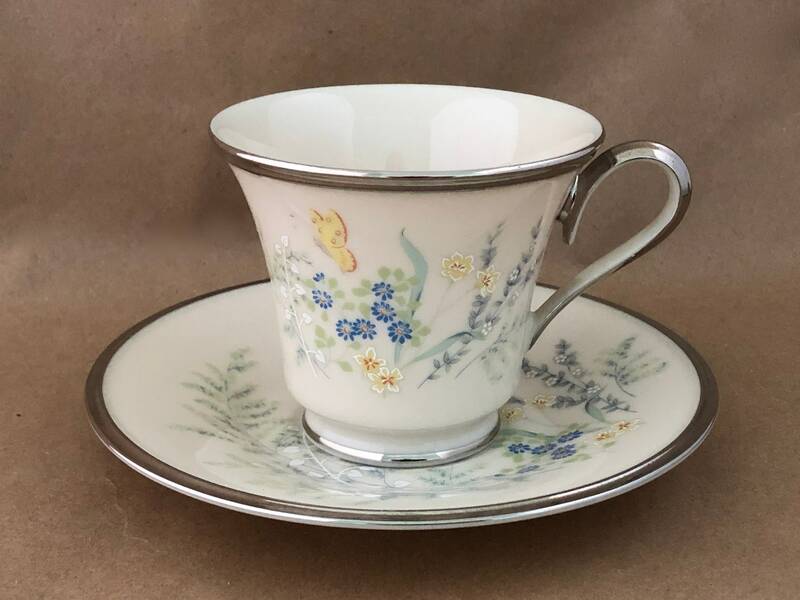 Because of its relatively short production period, the variety, complexity, and pleasing color coordination of the spring flowers and butterfly accents, and the heavy richness of the platinum trim, the cups and saucers from this line become prized parts of cup and saucer collections and are not common in the resale market. Measurements: Cup - 3 1/2 H x 3" Diameter. Saucer - 6" diameter. This pair is in gorgeous condition with no damage or flaws. 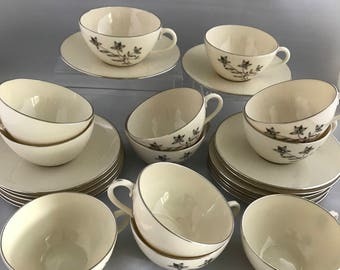 It would make a great addition to your collection of the finest tea or coffee pieces, or it would make an exceptional gift for any other lover of fine chinaware for his or her tea or espresso.